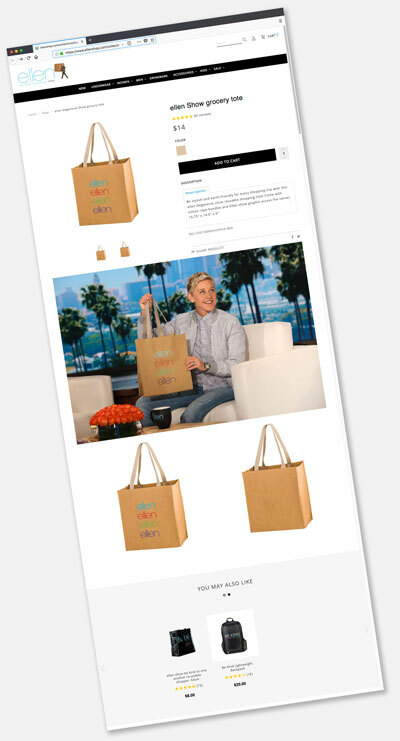 Check out these new trendy Washable Paper Totes that have the look and feel of real leather and come with a retail hang tag attached to each bag. Washable paper is a durable and eco-friendly vegan material and is customizable with a full-color logo (Color Evolution) or single-color Screen Print to suit your business or product. 1|2|3|4|5|66%22|8%22|13%22|16%224%22|5%22|6%22|10%2210%22|12%22|12.5%22|13%22|15%224%22|5%22|6%22|10%22 Select a Category123456 Width6"8"13"16" Side Gusset4"5"6"10" Length10"12"12.5"13"15" Bottom Gusset4"5"6"10"
Opt to have a custom print on these washable paper bags and now your bussiness has a eco-friendly way to promote your business. 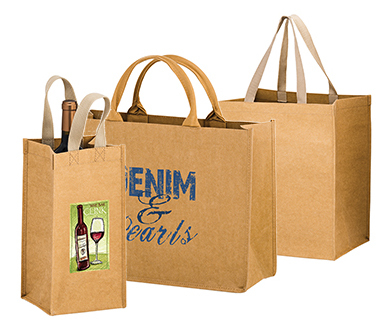 Much like a great pair of blue jeans the more you wash these kraft paper bags the more aesthetically appealing they become! Not only to they look better but continious washing does not make them prone to becomoing brittle or prone to ripping/tearing. This one bag that will not be called a single use bag! Cellulose-based product that is constantly being grown. Printed art on the heavy-duty bag is able to withstand greater than 30 washings by a household washing machine using standard laundry detergent. Imagine what this washable paper bag itself is able to withstand if the art can handle that many washings. Both screen and 4 color process printing hold up well to washings and use. The screen printing tends to hold up better, compared to the quality printing of 4 color process. The more the printed bag is washed the more of weathered, vintage look the art has. Similar to the same result of a well worn, often washed printed t-shirt. Accredited by both the Forestry Stewardship Council (FSC) and Oeko-Tex, which ensure that the material is responsibly sourced and produced. Recognized as a vegan-friendly material and a viable alternative to many leather-based products. Great alternative to the tired Non-Woven reusable bag.